Cook the quinoa in double its volume of water. Fluff with a fork and allow to cool. Once quinoa has cooled, stir in the nutritional yeast. 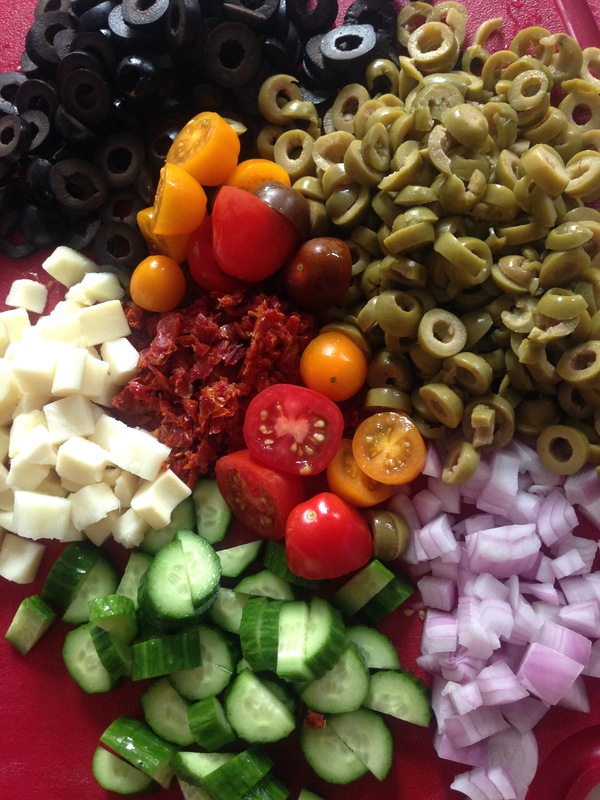 Chop the cucumber, tomatoes, sun-dried tomatoes, onion and hearts of palm. 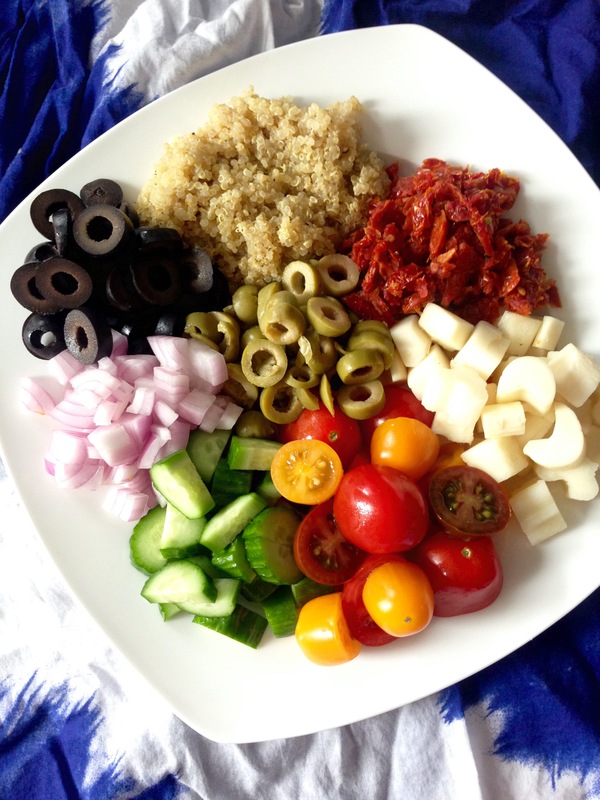 In a large bowl, combine the quinoa, chopped veggies and sliced olives. Drizzle with olive oil and season with salt and pepper, to taste. 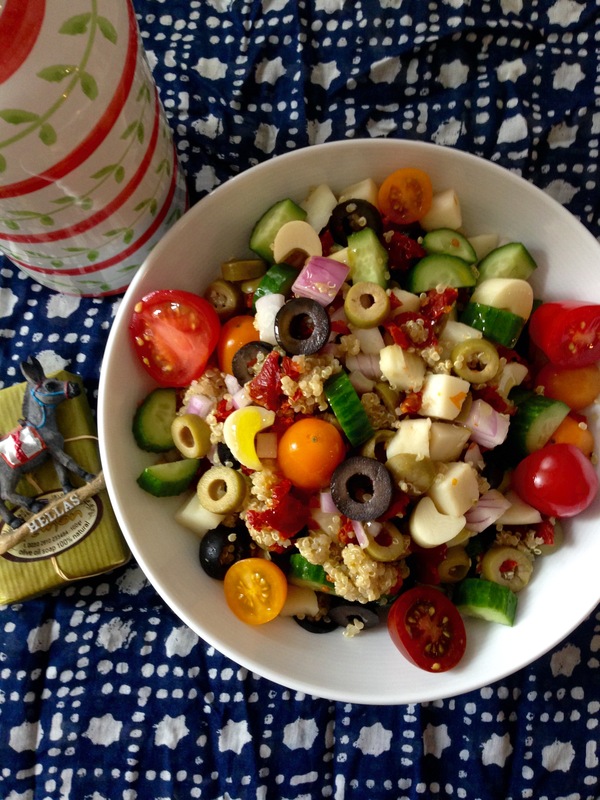 Now if only we could be eating this gazing into the beautiful blue waters of Hellas! 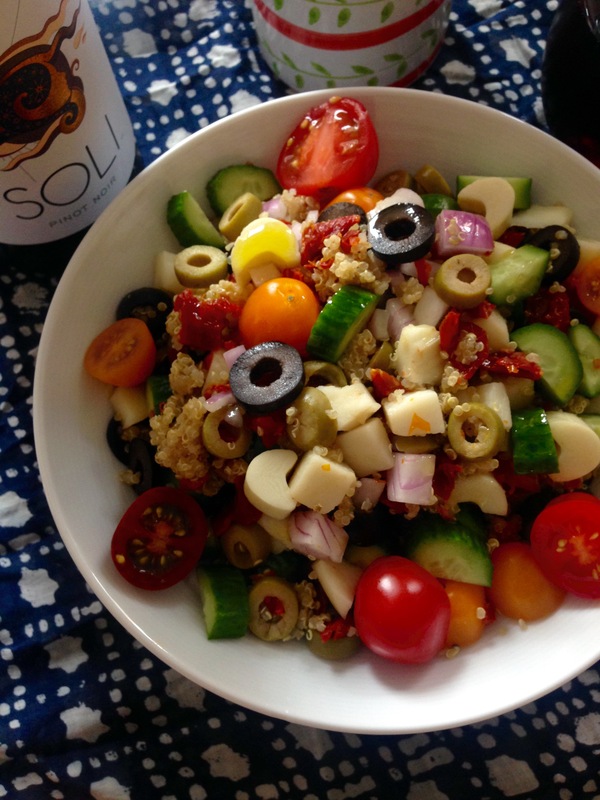 This looks fab – and easy for summer! Thank you!